The fashion industry generates 1.2 billion tons of greenhouse gas emissions every year. That’s more than air travel and maritime shipping industries combined. This staggering statistic from the Ellen MacArthur Foundation sends a clear message, we need to change the way we make and wear our clothes. In recent decades consumers developed an appetite for the latest trends at the lowest cost. 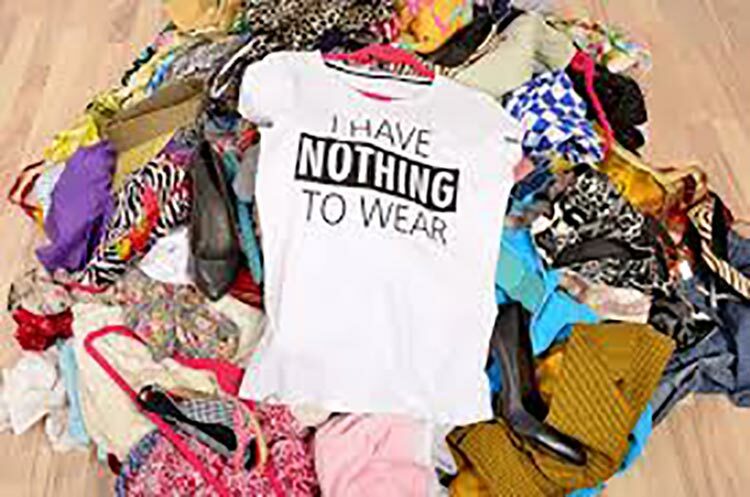 But the environmental cost of this trend towards fast fashion has been huge with water pollution, textile waste and use of toxic chemicals all on the rise. Yet things are changing. Consumers no longer want to be complicit in the fashion industry’s unethical dealings. Fashion brands are under increasing pressure to put their money where their eco-friendly mouth is and take steps to protect the environment. These five innovative businesses have risen to the challenge. Cotopaxi is an outdoor apparel brand like no other. Saving the planet one windbreaker at a time, Cotopaxi products have a 61-year guarantee (the average lifespan of a person in the developing world). Cotopaxi also gives 2% of its revenue each year to initiatives that reduce poverty around the world. One of the ways Cotopaxi reduces its waste is its “Re-purposed Collection”. Cotopaxi takes material and fixings leftover in factories and uses them to make a limited-run collection of bags and clothes. For the Del Dia line of bags, factory workers in the Philippines have complete creative control. Workers design and make one-of-a-kind bags from waste materials, helping Cotopaxi live up to its slogan, “gear for good”. Running shoes have an alarmingly high carbon footprint. Every new pair of running shoes generates 30 lbs. of carbon dioxide emissions. Two-thirds of these emissions come from the manufacturing process which also uses toxic chemicals. Most factories producing running shoes are in Asia so the environmental burden is out of sight and out of mind for most western consumers. But times are changing and more consumers are demanding their favorite brands do better. New Balance is one brand that’s stepped up to eliminate waste reduce the use of hazardous chemicals in their factories. Recently New Balance launched the ME070 and WE070 running shoes made from recycled and/or sustainable materials. The industry has a long way to go before it can claim to be protecting the environment but New Balance is taking the first steps in the right direction. Our eternal quest for the perfect pair of jeans is taking a toll on the environment. When Levi Strauss launched blue jeans in 1873, they designed them to last a lifetime. Thanks to fast fashion, an estimated 2 billion pairs of jeans are produced each year and the average American buys four new pairs. Textile factories use a cocktail of toxic chemicals and hundreds of gallons of water to produce one pair of jeans. 70 percent of Asia’s waterways are contaminated with this wastewater that pours out of textile factories and into the local water supply. That’s why Levi Strauss is stepping up to make their business more environmentally-friendly. Levis worked with Outerknown to create an SS18 capsule collection. Every item in this collection is made from organic cotton and plant-based linen and colored with water-saving dyes. The collection is also 100% recyclable. The manufacture of sunglasses is not environmentally-friendly. Most glasses frames are made from lightweight, cheap plastics derived from non-renewable oil. When a new trend comes along these frames end up in the trash and join the 8 million metric tons of plastic that pollute the world’s oceans each year. The answer is not avoid sunglasses (sunglasses protect our eyes from UV) but to shop smarter. Innovative companies are working to reduce sunglasses waste. The Sunglasses Fix offer a replacement service for ray ban lenses, giving your scratched or cracked sunglasses a second life. Re-use is often better than recycle because it uses fewer resources and manpower. Besides valid ethical objections, the manufacture of leather products harms the environment. To tan leather, factory workers use a chemical process that requires carcinogenic chromium. This process is discouraged in American and Europe but is common in China. Companies like ultra-stylish Matt & Nat offer an alternative to leather. Matt & Nat’s backpacks, handbags, and shoes look like leather but are actually “vegan leather”, a material known as polyutherene. Recycled materials like nylons, cork, and rubber are used for fixings and linings are made from recycled plastic bottles. Matt & Nat products are durable and the company encourages up-cycling so pass it on! There’s no easy fix for the many ways we have seriously damaged the environment of our planet. However, these five companies, alongside many others not mentioned, are leading the fight against fast fashion and taking steps to protect the environment.